Fourteen-year-old Cloyd Atcitty has been skipping school for years. He's run away from a group home for Native American boys, and is now being sent to work for Walter Landis, an old rancher on an isolated Colorado farm. In a cave above the ranch, Cloyd finds a turquoise carving of a bear. Knowing that his people, the Utes, have a special relationship with bears, he keeps the small stone, hoping it will bring him strength. A terrible blow-up with Walter ends in near disaster, but the old man offers Cloyd one last chance: they'll ride together into the mountains to reopen Walter's abandoned gold mine. 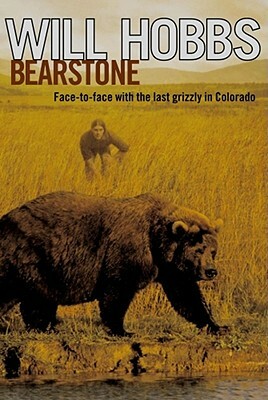 Among the high peaks that harbor Colorado's last grizzlies, Cloyd's courage and loyalty will be tested to the limit. Will Hobbs is the award-winning author of many popular adventure stories for young readers, including Bearstone and Beardance. His picture book, Beardream, illustrated by Jill Kastner, is a companion to these novels. Seven of his novels have been chosen by the American Library Association as Best Books for Young Adults. A graduate of Stanford University and former language arts teacher, he lives in Durango, Colorado, with his wife, Jean. Longtime backpackers and river runners, they have spent many years exploring the mountain and canyon settings of Will's stories. To learn more about the author and his books, visit Will's Web site at www.WillHobbsAuthor.com. School Library Journal, starred review Far above other coming-of-age stories.